Finely crafted in the USA from North American Hardwoods, sanded & ready to finish in either stain or paint. Additional species and sizes available with custom quote. Pre-Drilled with 4 holes for easy assembly to your base or leg. Can be stacked to create a 2" high tiered base. 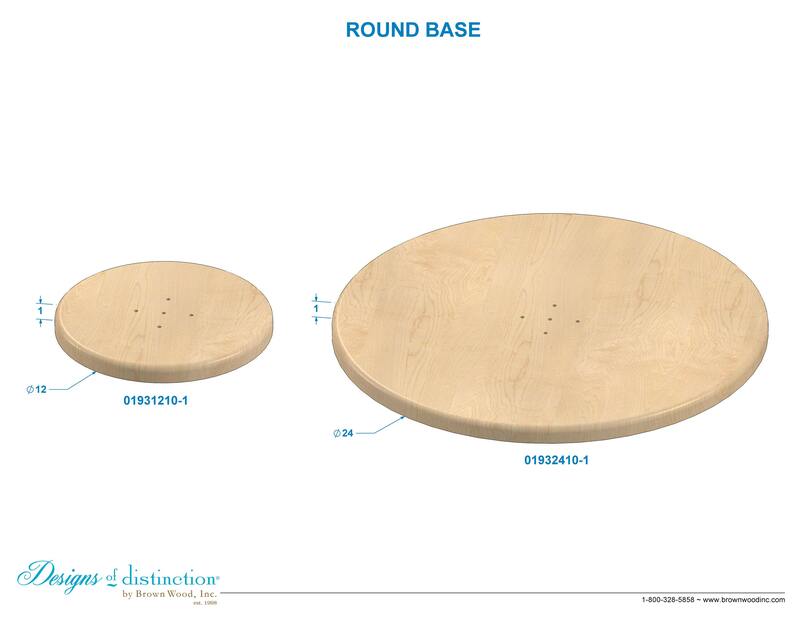 The 12″ and 24″ Round Bases can be used to add height to all of our pedestal table projects. Use together or alone to add beauty and strength to your designs. Turn upside down and use under your table top to add strength to your construction. Shop matching components in either the Pacific Rim or Mid-Century Collection.